I received so many positive messages after last week's What's for Supper Sunday. 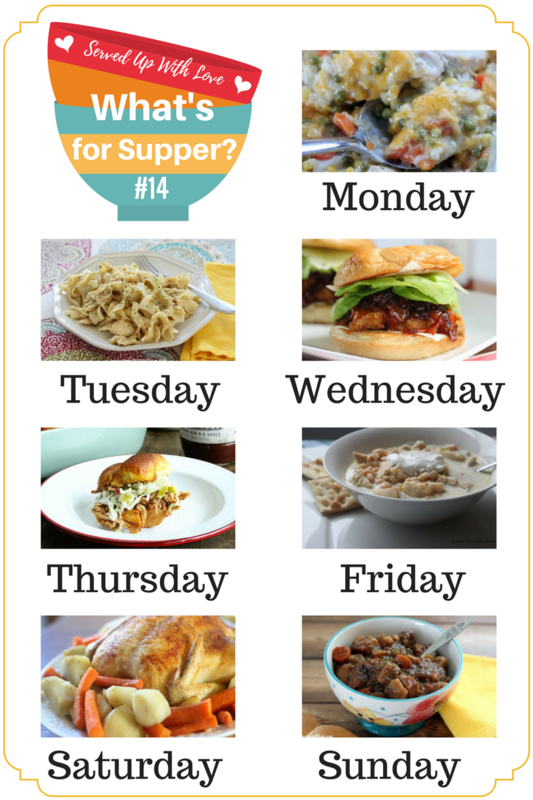 I love how it is helping so many others plan out their meals for the week. Meal planning has not been my strong suite but I feel like I am finally getting into a groove. It prevents all those questions every day. I grabbed a great deal on chicken on my last shopping trip so this week is all about chicken. Any leftovers will be used up for a quick lunch. You've just got to love that! Hope this meal plan inspires you to jump on the bandwagon and start planning out your meals. To see any of the recipes below, just click the title of the recipe and it will take you right on over to it.